In the early 1990s a European genetic engineering company was preparing to field test and then commercialize on a major scale a genetically engineered soil bacteria called Klebsiella planticola. The bacteria had been tested--as it turns out in a careless and very unscientific mannner--by scientists working for the biotech industry and was believed to be safe for the environment. Fortunately a team of independent scientists, headed by Dr. Elaine Ingham of Oregon State University, decided to run their own tests on the gene-altered Klebsiella planticola. What they discovered was not only startling, but terrifying--the biotech industry had created a biological monster--a genetically engineered microorganism that would kill all terrestrial plants. After Ingham's expose, of course the gene-altered Klebsiella planticola was never commercialized. But as Ingham points out, the lack of pre-market safety testing of other genetically altered organisms virtually guarantees that future biological monsters will be released into the environment. Genetically engineered organisms have not been adequately assessed for their environmental or human health effects. It is inadequate to subject ORGANISMS to the tested [sic] required for non-living chemical pesticides, and conclude that there will be no adverse or risky effects from release of those organisms based on that testing. A graduate student of mine, no longer working in the field of engineered organisms, and I did some research on a particular engineered bacterium that had been approved by the USEPA for field testing. No environmental effects were detected during pesticide or toxicity testing with this organism. However, Michael Holmes discovered that the engineered bacterium, Klebsiella planticola with a additional alcohol gene, killed all the wheat plants in microcosms into which the engineered organisms was added 1 . None of the wheat plants were killed in microcosms into which the not-engineered parent organism or just water were added. This bacterium was engineered to produce alcohol from plant debris, so alcohol could be produced after raking up grass straw residues instead of burning fields. This organism would have been released to the real world by placing the residue left at the bottom of the fermentation container following grass straw alcohol production on fields as fertilizer. With a single release, we know that bacteria can spread over large distances, probably world-wide. These bacteria would therefore get into the root systems of all terrestrial plants and begin to produce alcohol. The engineered bacterium produces far beyond the required amount of alcohol per gram soil than required to kill any terrestrial plant. This would result in the death of all terrestrial plants, because the parent bacterium has been found in the root systems of all plants where anyone has looked for its presence. This could have been the single most devastating impact on human beings since we would likely have lost corn, wheat, barley, vegetable crops, trees, bushes, etc, conceivably all terrestrial plants. It is clear, therefore, that current testing procedures required by US regulatory agencies are completely inadequate in assessing the potential risks involved with genetically engineered organisms. Until such time as adequate testing procedures are instigated and carried out, engineered organisms should not be considered to have acceptable risks. Holmes, M. and E.R. Ingham. (1999) Ecological effects of genetically engineered Klebsiella planticola released into agricultural soil with varying clay content. Appl. Soil Ecol. 3:394-399. I was very careful to say that if you extrapolate the results of the laboratory work to the field, based on the facts that most terrestrial plants cannot tolerate alcohol production in the root system, that this bacterium was engineered to produce alcohol, that this bacterium typically grows in the roots systems of all plants, then there is a clear risk if this bacterium were to be released into the natural environment. This bacterium was being considered for release, and my understanding was that release was mere weeks away when the results of Dr. Holmes' work was given to the EPA. Dr. Holmes has said that he cannot repeat his Ph.D. research. Why? Because he no longer has the engineered organism in his possession. Does this suggest that his Ph.D. work was inaccurate or poorly done? Does his inability to repeat the work now suggest his Ph.D. is somehow tainted? Not in any way. If he still had the engineered bacterium, he could repeat the work. I do not believe that either George Lawton or Acres have suffered because of the publication of the information about Klebsiella planticola. I think that's probably wishful thinking by people who don't want others to consider the implications of putting something that makes alcohol, using the root's own exudates, into the root systems of alcohol-intolerant terrestrial plants. Certainly, neither George or any editor from Acres have said anything to me about any negativity. A few rather outrageous blips have appeared that have flamed me, but most people can see through the rhetoric to the facts. Why isn't there a title on the paper that screams "addition of GE bacterium kills plants"? Because it is a scientific paper reporting on a series of experiments, not sensationalistic journalism. Klebsiella planticola is merely an example that human beings can engineer organisms that can cause serious problems. This engineered bacterium has never been released into the natural environment, and hopefully, never will be. You want the facts about the potential Klebsiella planticola has? Read the paper. Check the line on page 73, "However, at the end of the experiment, plants in soil inoculated with with SDF20 were chlorotic and wilting, while plants in the uninoculated soil and soil with SDF15 were flowering." SDF20 is the engineered bacterium, and SDF15 is the parent, not-engineered bacterium. Chlorotic and wilting means the plants had no color, and were, mostly, lying dead on the surface of the soil. A genetically engineered Klebsiella-planticola had devastating effects on wheat plants while in the same kind of units, same incubator, the parent bacteria did not result in the death of the wheat plants. Consider that the parent species of bacteria grows in the root systems of every plant that has been assessed for Klebsiella's presence. The bacterium also grows on and decomposes plant litter material. It is a very common soil organism. It is a fairly aggressive soil organism that lives on exudates produced by the roots of every plant that grows in soil. This bacterium was chosen for those very reasons to be engineered: aggressive growth on plant residues. Field burning of plant residues to prevent disease is a serious cause of air pollution throughout the US. In Oregon, people have been killed because the cloud from burning fields drifted across the highways and caused massive multi-car crashes. A different way was needed to get rid of crop residues. If we had an organism that could decompose the plant material and produce alcohol from it; then we'd have a win-win situation. A sellable product and get rid of plant residues without burning. We could add it to gasoline. We could cook with it. We could drink grass wine-although whether that would taste very good is anyone's guess. Regardless, there are many uses for alcohol. So, genes were taken out of another bacterium, and put into Klebsiella-planticola in the right place to result in alcohol production. Once that was done, the plan was to rake the plant residue from the fields, gather it into containers, and allow it to be decomposed by Klebsiella-planticola. But, Klebsiella would produce alcohol, which it normally does not do. The alcohol production would be performed in a bucket in the barn. But what would you do with the sludge left at the bottom of the bucket once the plant material was decomposed? Think about a wine barrel or beer barrel after the wine or beer has been produced? There is a good thick layer of sludge left at the bottom. After Klebsiella-planticola has decomposed plant material, the sludge left at the bottom would be high in nitrogen and phosphorus and sulfur and magnesium and calcium-all of those materials that make a perfectly wonderful fertilizer. This material could be spread as a fertilizer then, and there wouldn't be a waste product in this system at all. A win-win-win situation. But my colleagues and I asked the question: What is the effect of the sludge when put on fields? Would it contain live Klebsiella-planticola engineered to produce alcohol? Yes, it would. Once the sludge was spread it onto fields in the form of fertilizer, would the Klebsiella-planticola get into root systems? Would it have an effect on ecological balance; on the biological integrity of the ecosystem; or on the agricultural soil that the fertilizer would be spread on? One of the experiments that Michael Holmes did for his Ph.D. work was to bring typical agricultural soil into the lab, sieve it so it was nice and uniform, and place it in small containers. We tested it to make sure it had not lost any of the typical soil organisms, and indeed, we found a very typical soil food web present in the soil. We divided up the soil into pint-size Mason jars, added a sterile wheat seedling in every jar, and made certain that each jar was the same as all the jars. Into a third of the jars we just added water. Into another third of the jars, the not-engineered Klebsiella-planticola, the parent organism, was added. Into a final third of the jars, the genetically engineered microorganism was added. The wheat plants grew quite well in the Mason jars in the laboratory incubator, until about a week after we started the experiment. We came into the laboratory one morning, opened up the incubator and went, "Oh my God, some of the plants are dead. What's gone wrong? What did we do wrong?" We started removing the Mason jars from the incubator. When we were done splitting up the Mason jars, we found that every one of the genetically engineered plants in the Mason jars was dead. 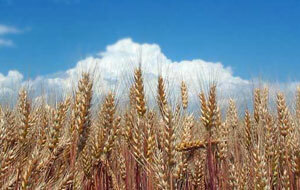 Wheat with the parent bacterium, the normal bacterium, was alive and growing well. Wheat plants in the water-only treatment were alive and growing well. From that experiment, we might suspect that there's a problem with this genetically engineered microorganism. The logical extrapolation from this experiment is to suggest that it is possible to make a genetically engineered microorganism that would kill all terrestrial plants. Since Klebsiella-planticola is in the root system of all terrestrial plants, presumably all terrestrial plants would be at risk. But I am not trying to say that all genetically engineered organisms are technological terrors. What I am saying is that we have to test each and every genetically engineered organism and make sure that it really does not have unexpected, unpredicted effects. They have to be tested in something that approximates a real world situation. I've worked with folks in the Environmental Protection Agency (EPA) and I know the tests the EPA performs on organisms. They often begin their tests with "sterile soil." But if it's sterile, then it's not really soil. Soil implies living organisms present. If you use "sterile soil" and add a genetically engineered organism to that sterile material, are you likely to see the effects of that organism on the way nutrients are cycled, or on the other organisms in that system? No, you're not likely to. So it's probably no surprise that no ecological effects are found when they test genetically engineered organisms in sterile soil. They really need to put together testing systems, which assess the effects of the test organism on all of the organisms present in soil. This article is adapted from the presentation the author gave on July 18, 1998 at the First Grassroots Gathering on Biodevastation: Genetic Engineering.